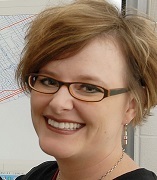 Shannon N. Zenk leads the Neighborhoods + Health Research Group. I am Professor of Health Systems Science at the UIC College of Nursing. My goals are to advance science on social determinants of health behaviors, and identify effective policy and environmental approaches to eliminate racial/ethnic and socioeconomic inequities. The food environment is of particular interest. Through multiple studies, I have shown that poor access to healthy foods is widespread in low-income and segregated minority neighborhoods and associated with lower dietary quality and higher body weight. Recognizing that the typical sole focus on residential environments may mischaracterize environmental exposures and lead to misdirected or bypassed policy and environmental solutions, my other recent research expands environmental measurement from residential neighborhoods to incorporate “activity spaces.” I am also interested in evaluating the health impacts of natural and planned policy and environmental changes, and how the environment may affect individuals’ ability to succeed in behavioral interventions. I am Associate Editor of Health & Place and Ethnicity and Health, and a member of the NIH Community Influences on Health Behavior study section. For more fun facts, please visit my website, as well as the website of my ongoing Weight and Veterans’ Environments Study (WAVES).